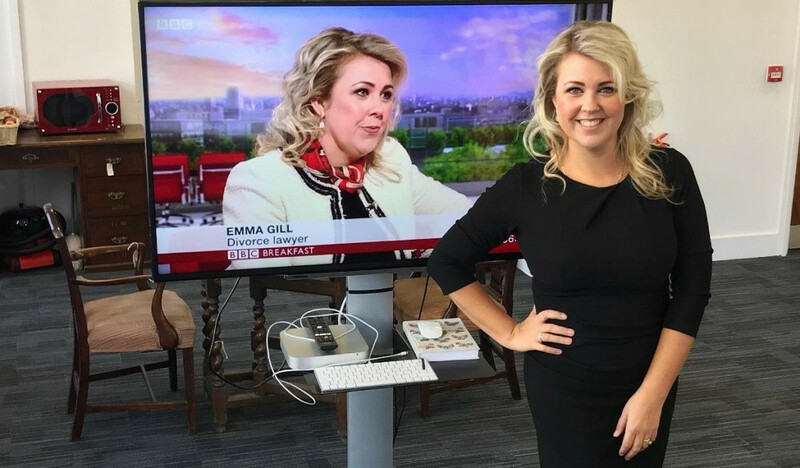 Emma Gill, family law director and glamourous head of the Vardags Manchester office, graced the BBC Breakfast’s sofas on Thursday morning to discuss Tini Owen’s high profile Supreme Court hearing scheduled for later that day. Tini and Hugh Owens married in 1978. Nearly forty years later the relationship broke down. In 2012 Mrs Owens had an affair, three years later the couple separated. They have lived apart in adjoining houses ever since. When they first came before the court on January 16th, his Honour Judge Tolson QC rejected Mrs Owens' “flimsy” divorce petition on the basis that he didn’t think the behaviour described was unreasonable. The case hit headlines earlier this year when Mrs Owens’ attempted appeal against her rejected divorce petition was dismissed. She has had to remain married to her husband, who took the unusual step of contesting the divorce. Tini Owens' barrister, Philip Marshall QC was then granted permission to take the case to Britain’s highest court. With the hearing scheduled for later that day, Emma Gill joined BBC Breakfast opposite Steph McGovern and Charlie Stayt to explain the law that has kept the couple married. The case illustrated the need for reform, Emma argued. That Tini Owens could not leave her marriage was, “in no one's interest at all and...the reason why the fight for no-fault divorce is so important”. It is Emma’s view that the law needs to be changed so that there is an option to leave a marriage without either waiting for a statutory time period to elapse or alleging fault on one partner. Currently even when both parties want to end the marriage, they cannot do so. Both of these fault-based options are problematic, she explained. Adultery has a narrow legal definition only applying to hetersosexual couples, while unreasonable behaviour has to be adjudicated on by someone outside of the marriage. The presenters cited a recent survey saying that more than a quarter of couples say they lied or exaggerated on their divorce petition because it was easier to get a divorce. Emma explained that this was often necessary because the test for unreasonable behaviour has to be ‘objectively’ judged against the man or woman on the street as well as subjectively by the people in the marriage. At the crux of Emma’s argument the exercise of proving unreasonable behaviour was so damaging as to make it very difficult to separate reasonably and amicably, and should they have children, continue to co-parent effectively without the conflict affecting the children. But is there a danger that change would make it "too easy for couples to divorce?". Emma explained that even in the instance of an online, no-fault divorce petition, that was just the first step in a legal process in which the court would still be involved, “it would just mean that that initial step was far less barbaric and far less damaging”. Entirely unconvinced by the idea that that no-fault divorce would lead all married couples to throw the towel in, Emma dismissed the oft-heard counter-argument to no fault divorce. "I don't think that argument has any merit. The issue is about the reasons why you're getting divorced, not whether or not you're getting divorced full-stop. The experience that my clients have is that this is the hardest decision they ever make, no one enters into divorce lightly. All [no fault divorce] would mean is that the barbaric process of having to find mud to sling to each other would go and it would mean that you could amicably divorce. And there is such a thing. I have clients who are desperate to be able to continue to co-parent in a positive way but want to divorce immediately, and they're caught between having to wait around for a two or five year period or effectively mine their relationship for little nuggets of horror to be able to divorce immediately."